Infant With Epileptic Seizure Gets 3D-Printed Brain Replica To Save His Life, But Can Seizures Possibly Return? Some of life’s unforgettable moments are the milestones we achieve from infancy to adulthood, such as saying our first words or walking in our graduation, but what if we begin to have no recollection of these memories? 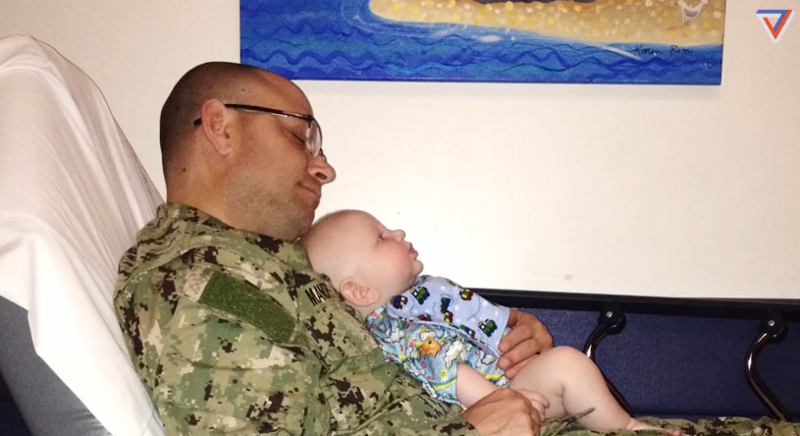 Last summer, a 5-month-old infant, Gabriel Mandeville, started to forget the fundamental things he was learning after experiencing “mind erasers,” also known as violent spasms and epileptic seizures. In fear of their son soon forgetting his parents, mom Erin Mandeville consented hemispherectomy treatment with a 3D-print brain replica to ensure Gabriel’s mental development. "He was missing huge milestones in his childhood," Mandeville told The Verge. "I didn’t know how invasive it would be," said Gabriel’s mother about doctors’ suggestions of a hemispherectomy in Boston Children’s Hospital. "But, if it was going to make him have a better life, it was an easy choice to make." According to The Hemispherectomy Foundation, a hemispherectomy is a complex surgical procedure that removes or disconnects the healthy side of the brain from the side of the brain that’s responsible for the seizures, while leaving the deep structures of the brain intact. The doctors also replicated the infant’s brain with the use of a 3D printer for a practice run prior to the operation. This would mark the first time that an infant’s brain has ever been replicated. The 3D-printed brain replica was developed by the Simulator Program at the hospital. The model is printed in soft plastic with a precision of 16 microns per layer; blood vessels are set in contrast color for easier navigation, said Mona Lalwani at The Verge. The blood vessels were highlighted in a different color to make them stand out like they would in Gabriel’s actual brain. Since the program’s debut last year, doctors have developed about 100 3D prints, of which 20 percent have been used in operating rooms. Peter Weinstock, the director of the Simulator Program, believes these 3D prints will not only be used for practice but also as parts in emergency and trauma cases where bone fragments typically need to be replaced. “The technology is coming,” Weinstock said. Gabriel’s operation lasted a total of 10 hours and was successful, Science Alert reported. Now, at 18 months old, the toddler is seizure-free, but this doesn’t mean there are no challenges ahead, as his mom emphasizes he is not completely “out of the woods” just yet. Although epilepsy eventually does go away for some people, the odds of becoming seizure-free are not as good for adults, or for children with severe syndromes. Mandeville remains optimistic about Gabriel’s recovery. “Kids’ brains are so resilient,” she said. "He’s already re-wired himself. He’s starting to hit the milestones he missed — he wakes up smiling every day."